Fire Prevention Week 2015 is October 4-10, Nassau County Firefighters Museum & Education Center Urges Long Islander's: "Hear the Beep Where You Sleep"
Garden City, NY - September 24, 2015 - Every bedroom needs a working smoke alarm. The Nassau County Firefighters Museum is helping spread the message, “Hear the Beep Where You Sleep: Every Bedroom Needs a Working Smoke Alarm” - the theme for this year’s Fire Prevention Week campaign, October 4-10, 2015. The national fire alarm code requires a smoke alarm in every bedroom, outside each sleeping area and on every level of the home. According to National Fire Protection Association (NFPA) statistics, half of all U.S. home fire deaths occur at night between the hours of 11:00 p.m. and 7:00 a.m., when people are most likely to be sleeping. Having a working smoke alarm in the home cuts in half the risk of dying in a fire. These facts underscore the extreme importance of having working smoke alarms in all bedrooms. “Because fires frequently happen when people are asleep, having working smoke alarms in every bedroom is a critical part of home fire safety,” said Chief John V. Murray, Chief Instructor for the Nassau County Firefighters Museum & Education Center, who notes that three out of every five U.S. home fire deaths resulted from fires in homes with no smoke alarms or no working smoke alarms. “Smoke alarms can make the difference between life and death in a fire by alerting people in enough time to escape safely, but first they need to be installed in all the required locations, including all bedrooms, and second, they need to be working! Fire Prevention Week presents the perfect opportunity to better educate the public about this potentially life-saving message,” said Murray. Replace all smoke alarms when they are 10 years old - or sooner if they don’t respond properly. NFPA has been the official sponsor of Fire Prevention Week since 1922. Fire Prevention Week is the longest running public health and safety observance on record. 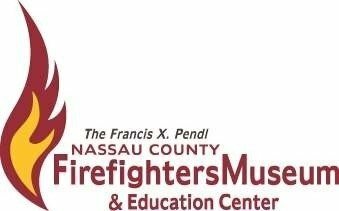 Subject: LongIsland.com - Your Name sent you Article details of "Fire Prevention Week 2015 is October 4-10, Nassau County Firefighters Museum & Education Center Urges Long Islander's: "Hear the Beep Where You Sleep""